Areca-Backup must be run with administrator rights to invoke Volume Shadow Copy Services. 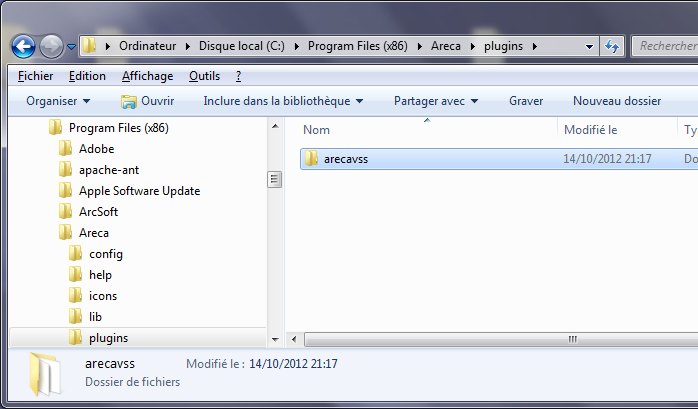 Once downloaded, unzip the file in the "plugins" subdirectory of Areca-Backup (something like "C:\Program Files (x86)\Areca\plugins" or "C:\Program Files\Areca\plugins" depending on your system and on where you installed Areca). You should have a subdirectory named "arecavss". That's all ! 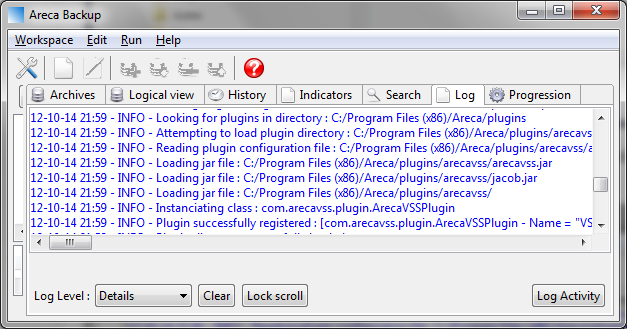 Launch Areca-Backup and check that the plugin is properly detected in the "log" tab. You should have a "Volume Shadow Copy" tab in the target edition window.